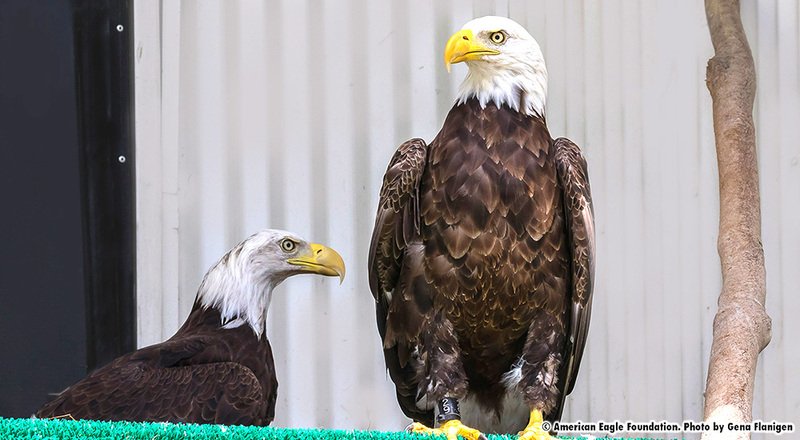 ‘Honor’ and ‘Braveheart’ are a bonded non-releasable pair of Bald Eagles that live in a large private aviary at the American Eagle Foundation. They have hatched and raised numerous young as a part of the AEF’s Captive Breeding and Hacking programs. View a timeline of AEF’s Captive Breeding and Hacking history! Honor was named in honor of Lance Cpl. 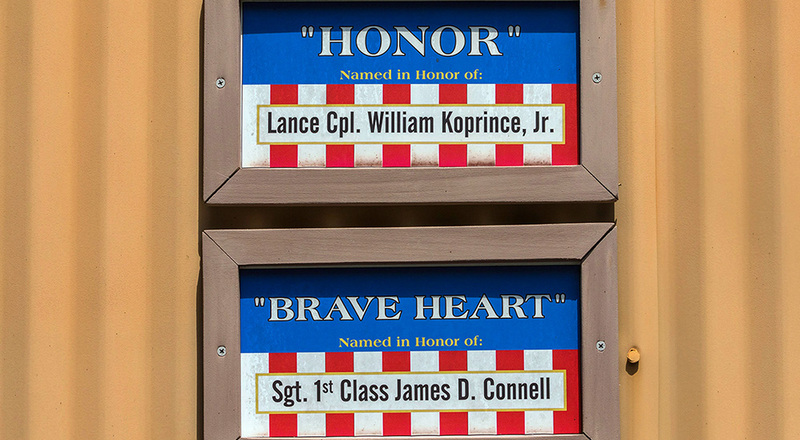 William Coprince, Jr. Braveheart was named in honor of Sgt. 1st Class James D. Connell. Accompanied by AEF President Al Cecere and Julia Cecere, the eagle pairs flew over America—from San Francisco to Knoxville—on the wings of a special FedEx cargo jet on June 18 and 19, 2007. 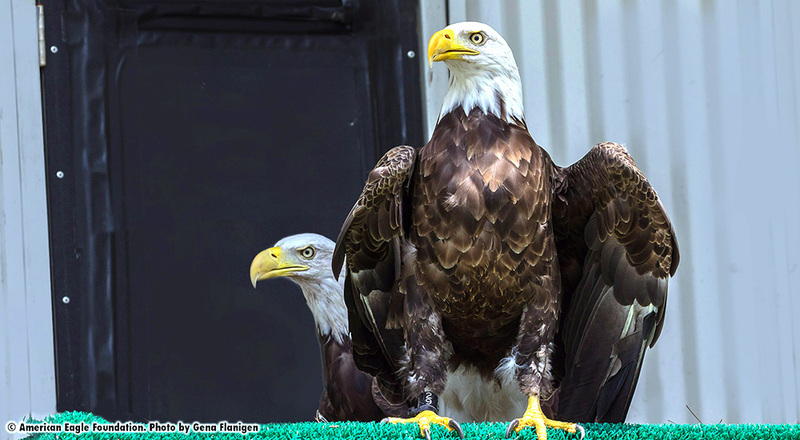 After a physical check-up by University of Tennessee veterinarians, these Eagles were placed into their new aviary homes in the foothills of the Great Smoky Mountains.